Please select a size. 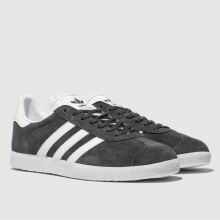 view smaller sizesUK 7 - In StockUK 8 - Low StockUK 9 - Low StockUK 10 - Email me when back in stock UK 11 - Email me when back in stock UK 12 - Email me when back in stock UK 13 - Email me when back in stock Please select a size. 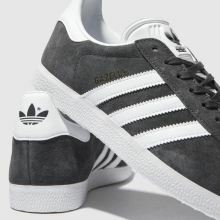 The mighty adidas Gazelle lands in a crisp dark grey and white colourway for the new season. 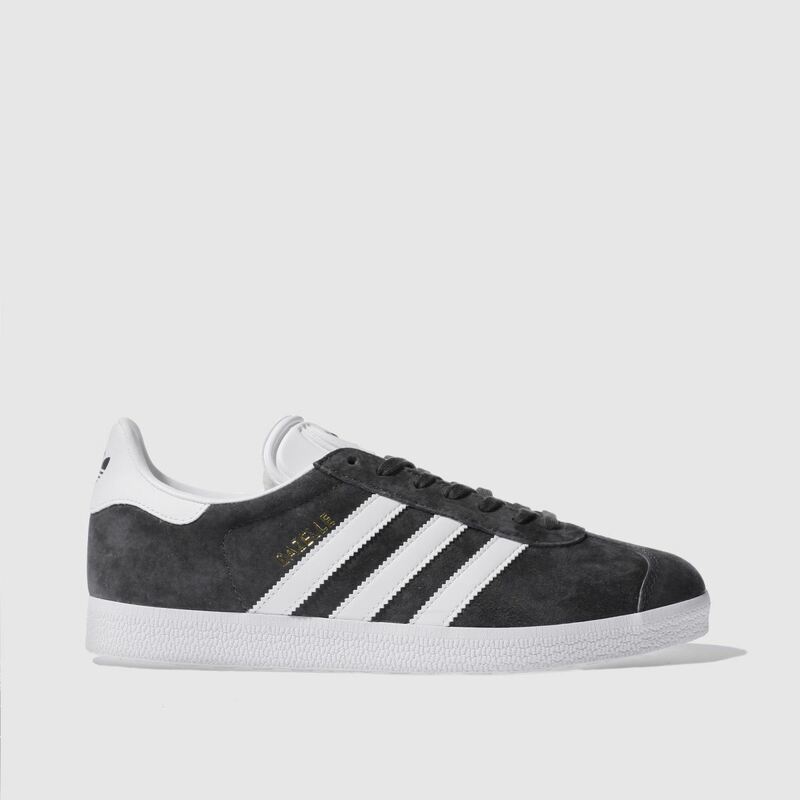 Crafted in suede, the upper is joined with contrasting 3-Stripe branding and gold foil callout detail. 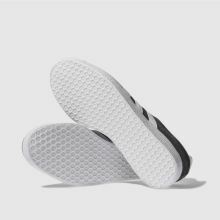 A durable rubber outsole with textured foxing completes.